Bollywood actor Vicky Kaushal played the role of Sanjay Dutt's friend kamlesh 'Kamli' in Rajkumar Hirani directorial biopic Sanju starring Ranbir Kapoor. This is known that Vicky Kaushal who made the debut in films with much-acclaimed film Masaan is the son of popular action director Sham Kaushal. 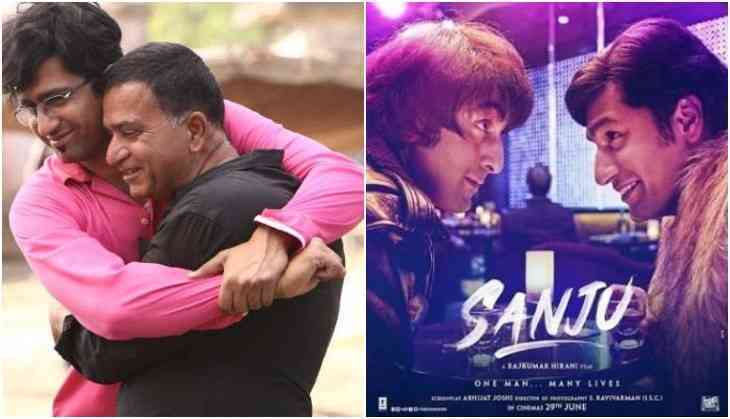 Sham Kaushal is quite happy and emotional after seeing the reaction what his son Vicky Kaushal is getting after his performance in Sanjay Dutt biopic Sanju. Sham Kaushal also attended grand success bash of Rajkumar Hirani's film Sanju. Sham Kaushal tweeted by sharing the picture of Vicky Kaushal from the film Sanju, "God is & has been very kind. As a father feeling so blessed & humbled for the love Vicky Kaushal is getting from everyone in Sanju as Kamli. Puttar Vicky Kaushal so proud of u. Can’t express my feelings. Thank you Rajkumar Hirani for making it possible. May God bless all." This is to notice that in the success bash also Vicky Kaushal couldn't be able to attend it so the leading actor Ranbir Kapoor decided to go live chat with him in the party. Kaushal is busy shooting for Uri.